As I told in my last post about Shawarma The Arabian Taco that shawarma vary from place to place and region to region, and it's ingredient selection also depends on the individual taste and likeness, I have tasted an Arabian type and a local Pakistani shawarma as well. In Pakistan, shwarma is sold as local street food, so many ingredients has been explicit from basic recipe just to match the taste of local eaters. So, I am going to share that local recipe to enjoy a street food flavor while staying at home, it's very easy and convenient. Starting from the ingredients all you need is pita bread, but if you are health conscious and taste developer then you can replace it with low calorie whole wheat bread, then the chicken mostly grilled has the best flavor but bbq, tandoori or roast can also be used, and last thing is fresh green salad, garlic mayo...you can use pickled veges, hummas and tahena sauce if you want to have an Arabian taste. This is going to be to long recipe today... but don't be panic, if you'll follow step by step, every thing will end up with a good, tasteful result. 1- Cut the chicken in long strips with a sharp chef knife. Cut across the grain, so that meat chunks would not break. If you are using chicken thighs then debone the leg and then cut in long strips. 2- Mix all the marinade ingredients well together, it's good to use glass bowl rather than steel bowl. 3: For best result marinate the chicken should be marinated overnight, if you are short of time than meat should be marinated for 3-4 hours at least. Mix the chicken in the marinate and transfer it to plastic bag and refrigerate. 4: Chicken can be fried, bar be qued or grilled.. I have grilled the chicken because it's the best way store the juices with in it. 5: Pickle is the main ingredient in shawarma specifically in the middle east region, in Pakistan pickle is not used preferably, so I won't use pickle but if you want to have little bit tangy flavor .. go for it..!! What you have to do is mix all ingredients and simmer them for five minutes, then drain and cool. 6: Slice all the salad, normally in Arbian Shawarma only cabbage used from fresh pick rest are cucumber, carrot, chilli and turnip pickle and olives depending on individual taste. Here, I am going to use fresh green salad that would give a fresh crunchy texture. 7: Now... the main part, shawarma is a combination of dry, soft, crunchy and creamy texture packed in one wrap, and from these the most important ingredient is the creamy one that can not be compromised with any other sauce i.e. ketchup ... basically the sauce used is hummas, made with chick peas and tahena sauce made of sesame seeds. But in Pakistan these things are not adapted by local user, what I have experienced locals have changed it with a garlic mayo or sour cream. I am using garlic mayo with a bit of more flavor and aroma of Rose merry. 8: Let's move on to the last and most yummiest step, effort going to give a delicious result. 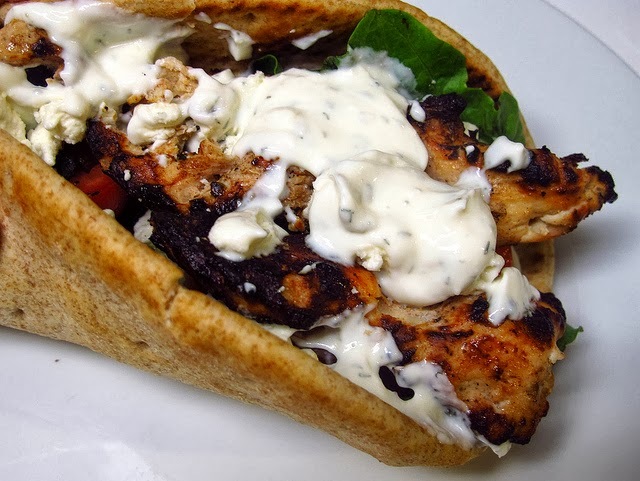 Spread the mayo on pita bread, don't overload it otherwise bread become to soft messy. if you are going to hummas and tahena, then first mix the tahena in hummas then spread on bread. 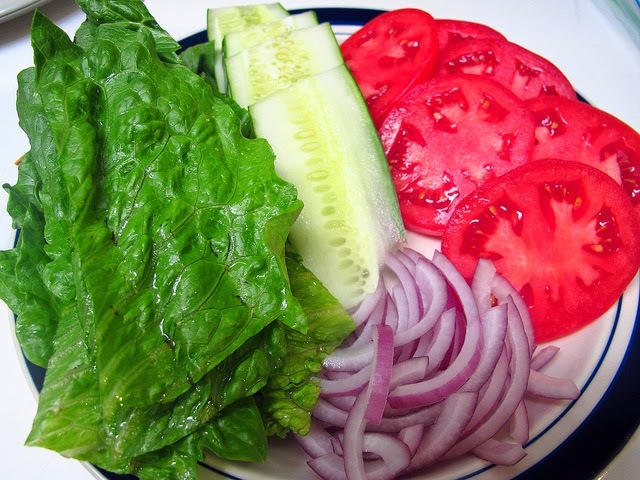 9: Place the salad, spinach, cucumber then tomatoes, if you are going to use pickle and cabbage then place a small bunch of cabbage and 3-4 sliced of pickle as shown in picture. Place the Chicken over salad. 10: First, check the below photo, looking something different, something not mentioned ingredients, yes you are right... while placing juice in fridge I saw cheddar cheese looking at me, suddenly my mind clicked an idea.. why not to give a different flavor this time. I just put some cheese, then pour spoons of mayo again so shawarma won't be dry on other side as well. 11: Fold the both sides toward each other, it's better to use butter paper to wrap around it. Let it warm little bit in microwave and serve with chilled soft drink.